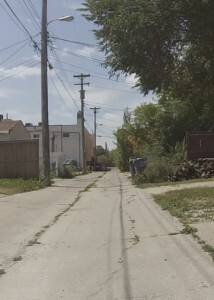 This route in the east quarter of old St Boniface is half on sidewalks and half on the Seine River Greenway. It is named in honour of famed author Gabrielle Roy who was born and raised in t he rambling frame house at 375 Rue Deschambault. You can see the cute yellow house pictured to the right. 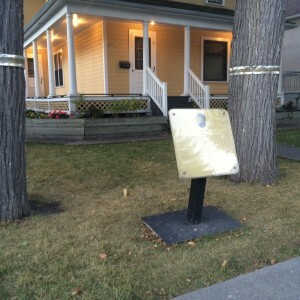 Today, the house is a museum and visitors center. 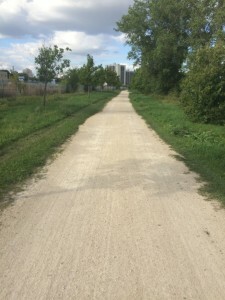 To be completely honest this trail is a bit unnecessary because the good parts of the trail are just along the river, which I think is the Seine River Greenway (already a nice trail). The Gabrielle Roy Route was made to encompass the famous house and really does not feel like a trail at all. I started at the house and then walked down the street towar ds an industrial area and then into a tiny swath of trees that lead me down to the river. This was a little odd for me because it felt mildly tresspass-y and the beginning of the trail had lots of broken bottles and empty cans near the benches. I think this trail is used more as a party spot. The view I had to begin the trail is to the left. The best part of the trail was walking along the river. 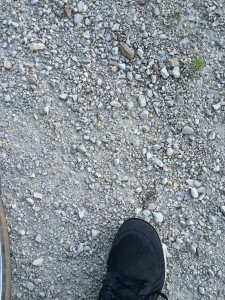 I went under the tracks and along the gravel path. There was some pretty cool graffiti there (seen right). I went around 7:30pm and the sun was starting to go down which gave me a creepy vibe. I also heard a lot of industrial noise and sirens, so this wasn’t the most tranquil walk. I am a nervous Nelly. The river itself was pretty and I loved all the birds you can see when you’re walking. They come pretty close and I think they aren’t used to many people walking down that way. 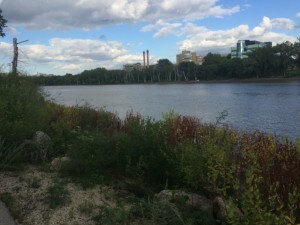 Once you finish the river part of the trail it leads you out onto Provencher blvd. 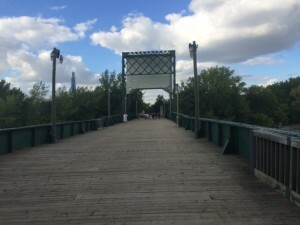 The route can take you across and through the Historic Park but I decided to go down Provencher and then back to Des Meurons (which is the last part of the route). This again, did not feel like a trail because it is a very common street in Winnipeg and was not anything spectacular other than a lit way for me to walk back to the museum. I would go back to the museum for a tour, but other than that I would not go out of my way to walk this trail again. 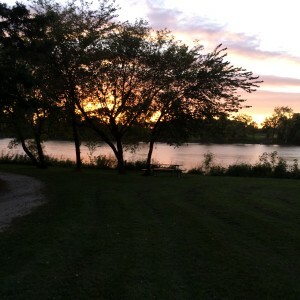 This evening I went to Little Mountain Park to walk the various trails and to place gems. It is a nice little park and I would recommend taking a trip there with your pet and maybe having a bonfire. To start the first thing you need to look out for is dog poop. It’s everywhere despite the copious signs telling people to pick up after their pet and the numerous garbage cans for them to deposit your waste bags in. There is no reason for someone to leave their dog poop on the path. Aside from that, the paths are well maintained and pretty to walk down. I can confidently say this is a walking path only, as most of it is grass (some is wood chips). 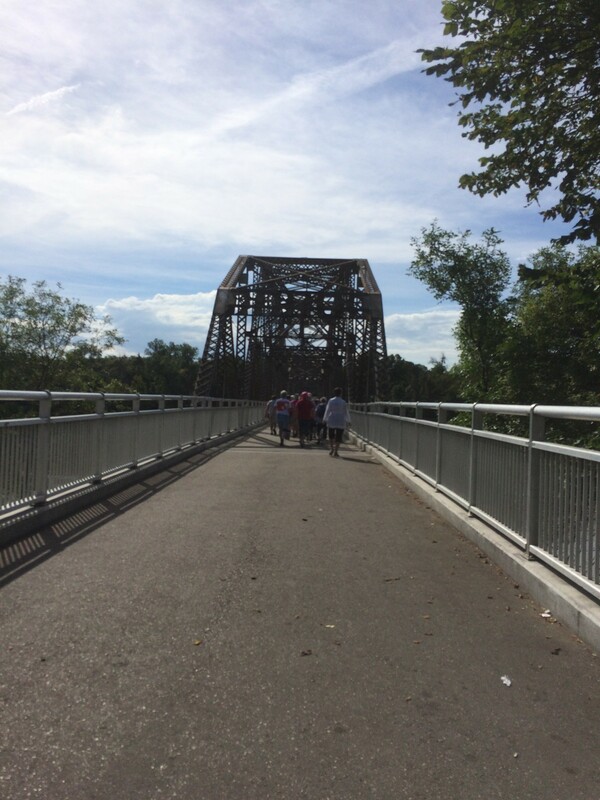 It is not accessible for wheelchairs or any other active transportation. Great to bring a fuzzy friend though, as there are many dogs running around. Speaking of dogs running around, make sure your dog is on a leash and in control if it is not friendly. Our dog was spooked when a little terror of a dog ran up to us barking and snarling with it’s leash dragging behind him. Accidents happen but it took the guy a solid 2 min to come get his crazy dog. On the bright side we said hi to many other nice dogs. 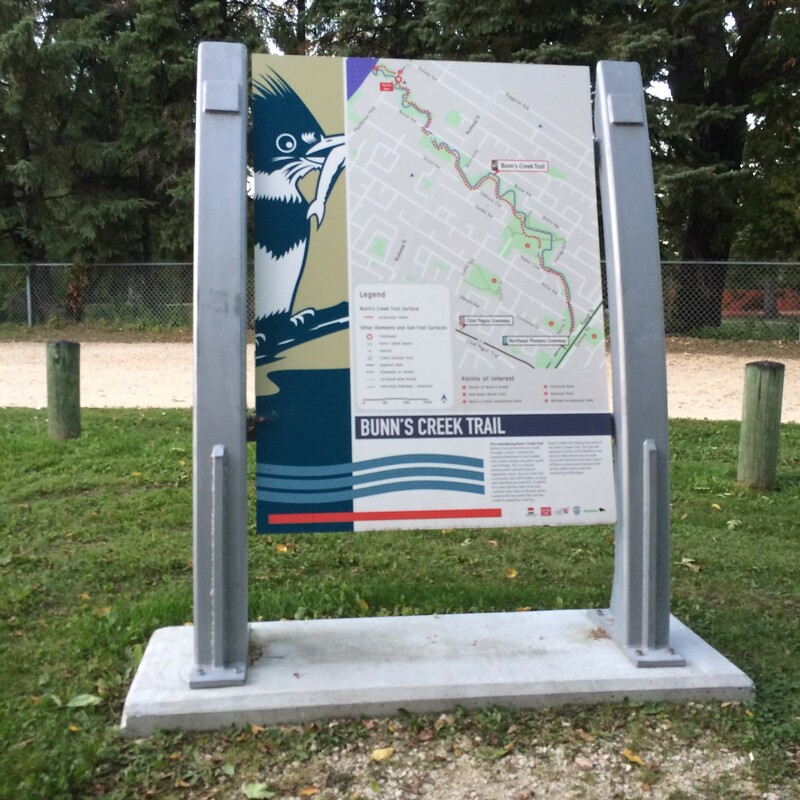 The park is noteworthy for their off leash and on leash areas for people to let their dogs socialise and have fun. 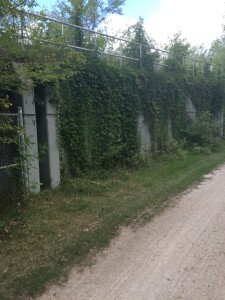 One of the areas of interest on the Winnipeg trails map is the limestone quarry area. The old pit is turned into a pond. Its kinda icky looking but it provided a lovely sunset picture moment. This park had some pretty cute picnic areas which would make great evening bonfires. If you live closer to here than birds hill park then I think Little Mountain Park is a great substitute. A side note about transportation though, its pretty hard to find on a in car GPS system because Farmer Road is called something else on the satellite map and its not listed as a “park” on our GPS. lot some Gems there. 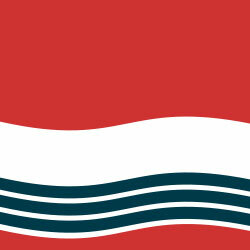 (Hint Hint new gems on Bunn’s Creek). 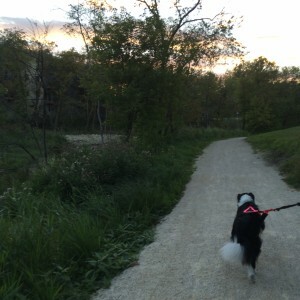 We started at the Malcana Park parking lot and went North on the trail heading towards the Red River. The trail is a combination of pavement and packed gravel, so only parts of the trail are accessible by wheelchair or skateboard etc. The path follows Bunn’s creek through parks and slopes with many trees. I would compare this trail to some of the birds hill park trails, only with a few backyards and residential street crossings. What I liked about this trail is the abundant vegetation and various wildlife. 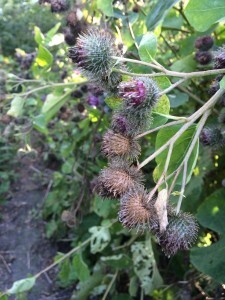 There are many different flowering plants, more than one beaver dam, and of course, squirrels. Sophie took interest in the squirrels. I also appreciate when a trail has points of interest like interpretative signs or cool bridges. It is a peaceful walk, yet you feel like part of the community with people passing by every so often. The trail is very connected and thought out. There are ample trail signs for points of confusion, large overhead crosswalk lights for crossing busy streets, and nothing blocking the path or obstructing it. Very well thought out and maintained. The best part is the view of the Red River at sunset. 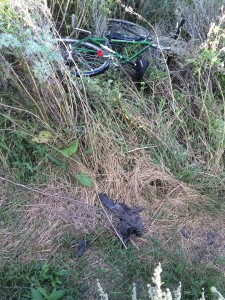 You never know what you will find when you walk down a Winnipeg Trail. 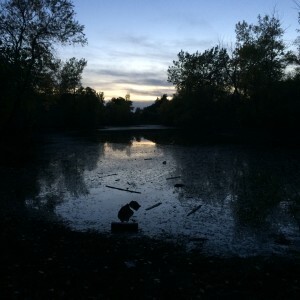 I started out by driving to the trail head near Beaudry park. There is some parking available, which is always nice for me. 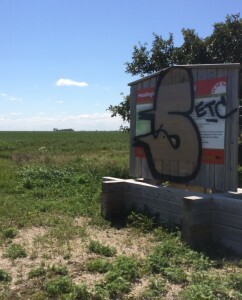 The trail sign is pictured to the right, as you can see there is some graffiti on it. This damage blocks the sign information and map which is unfortunate. 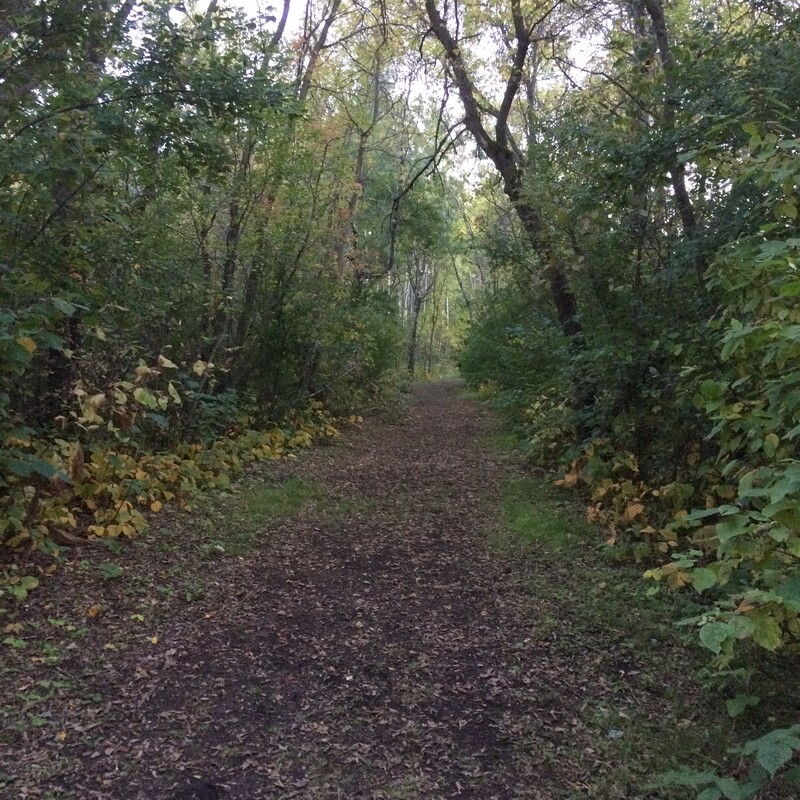 The trail itself is on an abandoned CN railway bed that traverses the municipalities of Heading ley and Cartier and covers approximately 10 km from the Perimeter Highway west into Beaudry Park. Bordering the trail there are small patches of trees which are home to many birds, bugs, and below, flowers. 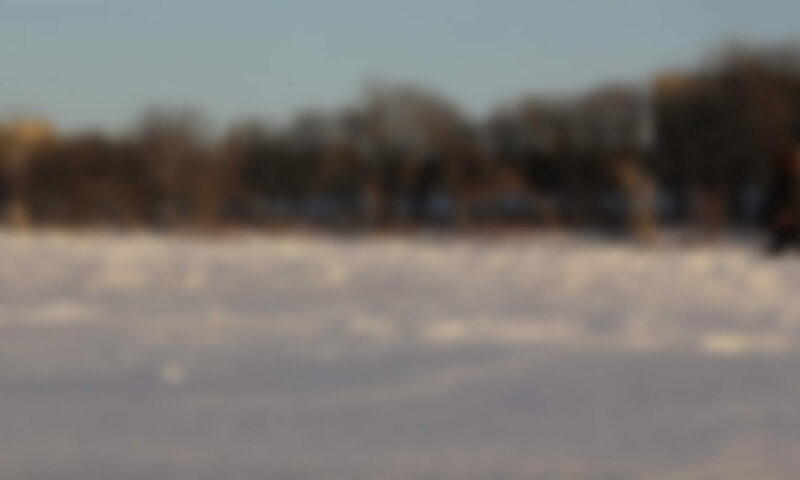 Along the trail you’ll experience three of the major ecosystems of the Prairie region – prairie, wetlands and forest. Aside from the trees, all I could see are farms. This is nice in some areas because it gives you a feeling of solitude, but not so well in others because I almost felt I was trespassing or a weirdo walking in between peoples farms. This path seems to be used for farmers to get to other parts of their lot because there were a couple trucks I had to pass on the trail. There are also lots of quad tracks. Quads are not allowed on the trail but honestly who is going to stop them? I would probably quad there too honestly. The path is mostly gravel, which is nice because grass paths can be uneven. What the path looks like for most of the way is to the left. Honestly, I would not come back to this trail. Its just not worth the drive and the trail itself is pretty boring. I walked for an hour down the path and did not even reach Headingley. However, I would come back to Beaudry park. I looked at some of the trails that were inside the park and they looked like something I would want to walk. I recommend checking those out if you want to come to this area, not the Grand Trunk Trail. I finally made it down to the South Osborne Farmer’s market after some coaxing from a friend. I had put off going for weeks, and with only so much summer left I decided to be late to the party rather than sorry that I never showed up. As I made my way down Osborne, and under the Rapid Transit Corridor, I felt a sense of adrenaline that I think most cyclists feel when they have to manage their speed down a considerable decline. Along with shoulder-checking, and then hike up a steep incline the trip can be taxing, even when biking a short trip from the East end of Wellington Crescent, it can wear you out. 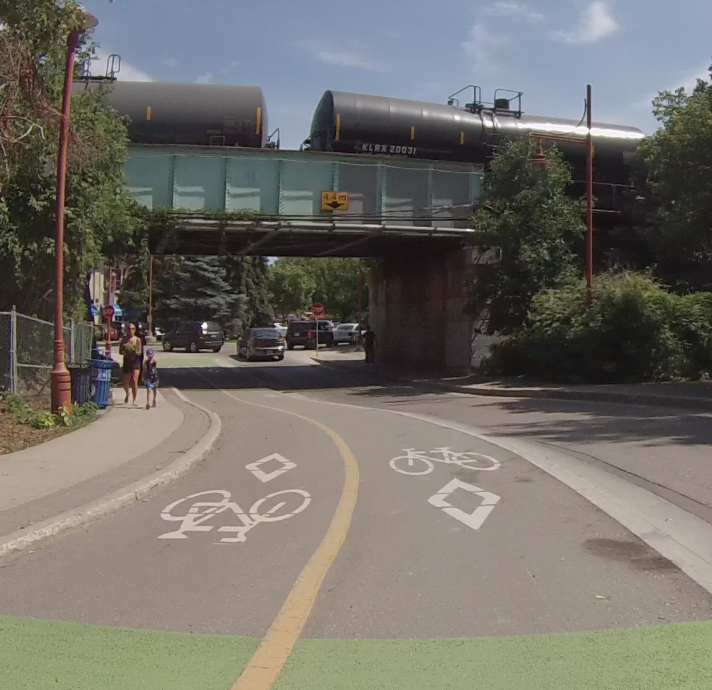 Soon after I arrived at the market, I noticed a bike path I had never seen before. 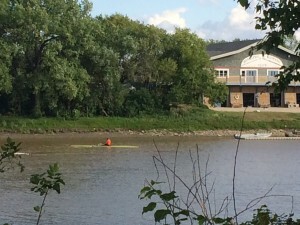 It was situated along the river and seemed to fork near the South Osborne Exchange building. After making my rounds, looking at all the tables, buying a pistachio glazed doughnut and chatting with some friends I saw there, I planned to pack it in for the day. 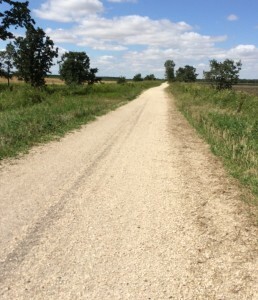 However my curiosity over this trail got the best of me and before I knew it I was headed down a white gravel road with trees surrounding me. The only point the narrowness was any real concern to me was when I was surrounded by burr bushes on either side. if somebody needed to pass things could get burr-y. Had I encountered any of these pesky velcro’s I’d be delighted to know that there were two park benches along this portion of the trail so I could sit down while I picked them off of my shoelaces and jeans and then threw them in the garbage can. 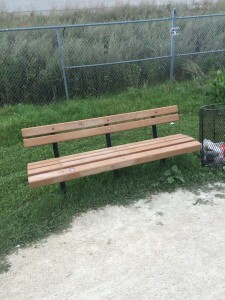 Both benches look exactly the same so I only took a picture of one and just copied it. Trust me though, there are two of them! The trees on either side of the trail formed a large tunnel of sorts as leaves from branches overlapped with each other. The provided shade and a special kind of peace that one can only receive when they’re removed enough from a trail away from roads and close to a river made the entire trip worth it. All the foliage covering the uninteresting aspects of our cities infrastructure (like gray walls/fences) was refreshing to seeas well, and seeing somebody kayak was a special bonus! 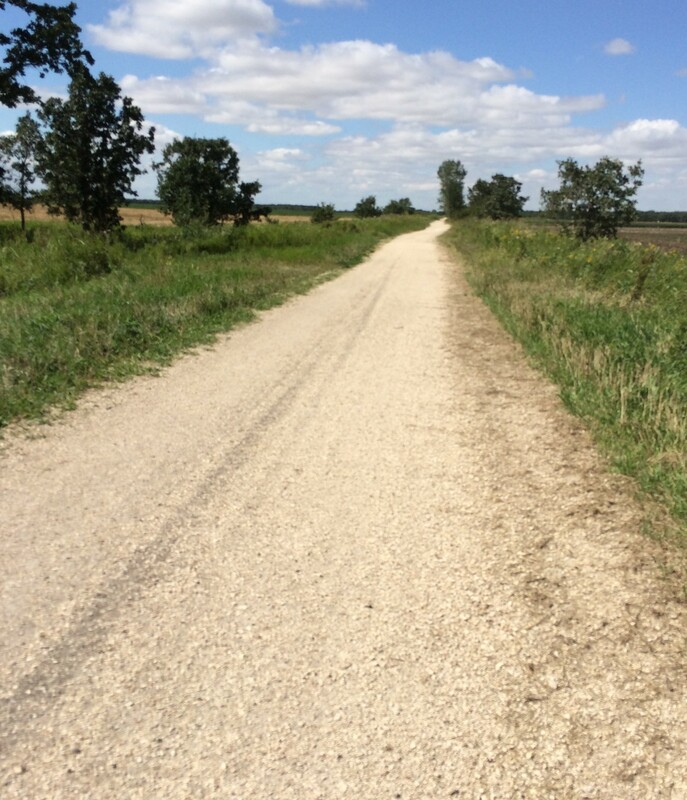 Soon after the tree canopy ended, so did the gravel path, as it transitioned into asphalt for the final portion of the journey. The decline was the steepest I had experienced on the trail, so I was glad that friction was on my side as I raced down toward the underpass of the St. Mary’s bridge. By the time I got to The Forks’ footbridge I was amazed at how quickly I had travelled there, and sad at how brief my trail trip was, spanning maybe 15 minutes. 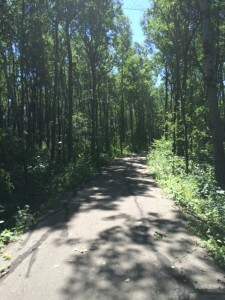 I lived to tell the tale, and I hope you all tell your own tale, hopefully a safer one, when you visit this trail in the South Osborne region (turn left on Mulvey Ave and go straight towards the river, you won’t miss it! 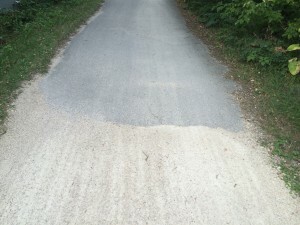 ), just don’t use the dirt trail, it’s not good. 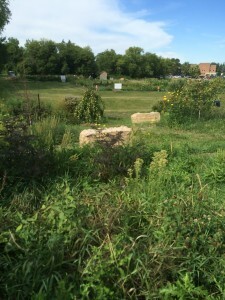 Paul Hewak is a Trails Analyst summer student with The Winnipeg Trails Association. 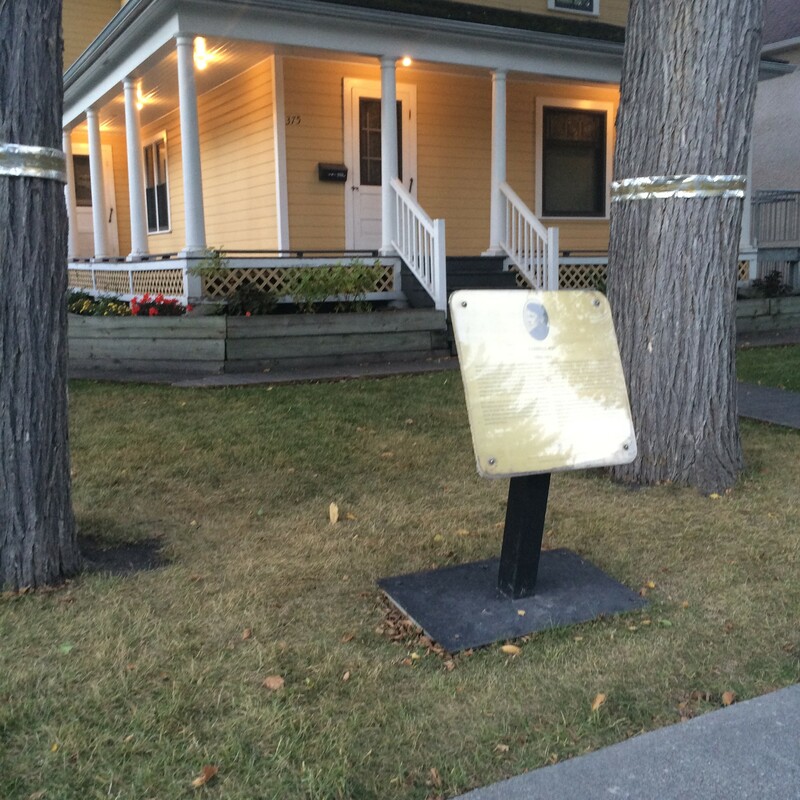 He is a student at the University of Winnipeg in the Faculty of English. His hobbies include riding his bike exhaustively until the steering bracket snaps off the day that he decided to write this story. He puts out his best wishes that his bike will recover, and will use another bike in the meantime. Paul’s hobbies include reading, writing, drawing, and collecting ugly pictures from thrift stores. Paul’s former bike’s hobbies included moving. 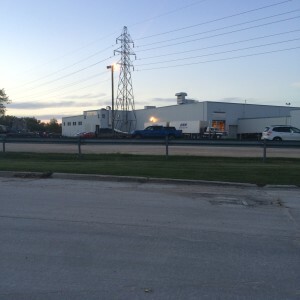 I decided to make the trip on bike from my home in Transcona to downtown Winnipeg. I am taking two different routes there and back to try two different travel option s. Here is a small map of my route to the right. The red is the trip to downtown and the orange is the trip from downtown. I took Dugald road to mission on my way there and I went from downtown to London and grey to the Transcona Trail on the way back. I am going to note here that this took me a VERY LONG TIME. It took me just an hour to get from my house to mission (11.5 km). 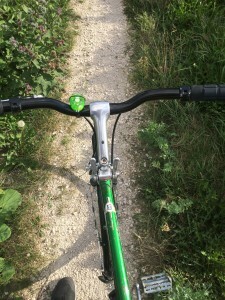 This was a long adventure for me and I am going to tell you about it through the lens of a very un-experienced recreational cyclist who has low stamina. My adventure started with me biking down Dugald road. The traffic speed limit is 80 km an hour. 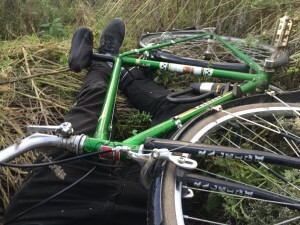 I biked on the shoulder and it seemed fine. Most cars gave me space and I wasn’t bothered. After passing the big grain elevator I jumped onto the bike trail that is adjacent to Dugald and enjoyed the wild grasses and nice pavement. This is where I rolled up behind a fellow lady on a bike and decided to be a creep and see if she was heading the same way I was. We went up the over pass (I had to stop and walk my bike a little cause I was dying) and then crossed Lag. as a pedestrian on the sidewalk. Yes I followed her like a creeper but I wanted to know if she knew any bike secrets. She did in fact lead me down a few roads off Dugald and onto mission. This is where I bid her farewell and did a quick 30 min traffic count to catch my breath and eat a granola bar. After the traffic count I used the bike lane on mission and crossed Provencher and made my way through Provencher park. I enjoyed going through the park because it was quiet and the pavement was nice. I joined Provencher around Des Meurons and crossed the Provencher bridge on the right where there is a section for walking. 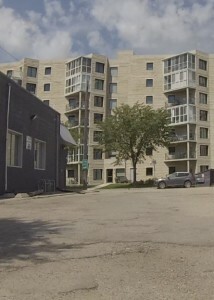 I used the sidewalk to ride past Shaw Park and then awkwardly rolled over the curb and joined traffic to make my way through the exchange district. I would suggest making the crossing on bridge to the street a little easier for bikes by making a little bike lane to join the sidewalk to the street. I know I could have taken the little walking path that is separate from the bridge but I was on the opposite side of the street. Biking through downtown was not as big of a challenge as I thought it would be. I used less busy streets for the most part, and only got honked at once (which was kinda my fault). 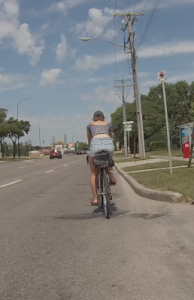 I took Ellice Ave for most of my trip and I found people biked on the sidewalk a lot. I am not sure why this was but maybe people just felt it was safer or easier? After a bit I got tired and went on the sidewalk so I would feel no pressure to keep up with traffic. Then I made my way back. The main change in my route back happened at Provencher. I took Provencher to Watt and then turned on what I think was London. 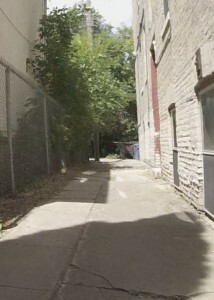 I went down a few small back lanes and streets as well to make my way over to the Kildonan area. I found it really easy to bike down these streets because there was not much traffic and there are some bike route signs. My greatest excitement was finding the bike lane on Molson. They recently re-did this street and I was surprised to see they added a bike lane. It was cool. I took the shoulder of Concordia to get to Peguis. I did not realize until halfway down Peguis that there was a paved multi-use pathway I could have used. The only bummer with that is it ends where the new development ends and I had to ride on grass or go back onto the street to turn onto Transcona Blvd. I have a serious qualm with the Transcona Blvd right now. There is no room for a bike to ride on the road safely. The sidewalk would be an option for me, however with all the construction it was covered in gravel and mud and I am not even sure if it was finished or not. This was a struggle. (I was also dead tired so this could have affected my attitude). 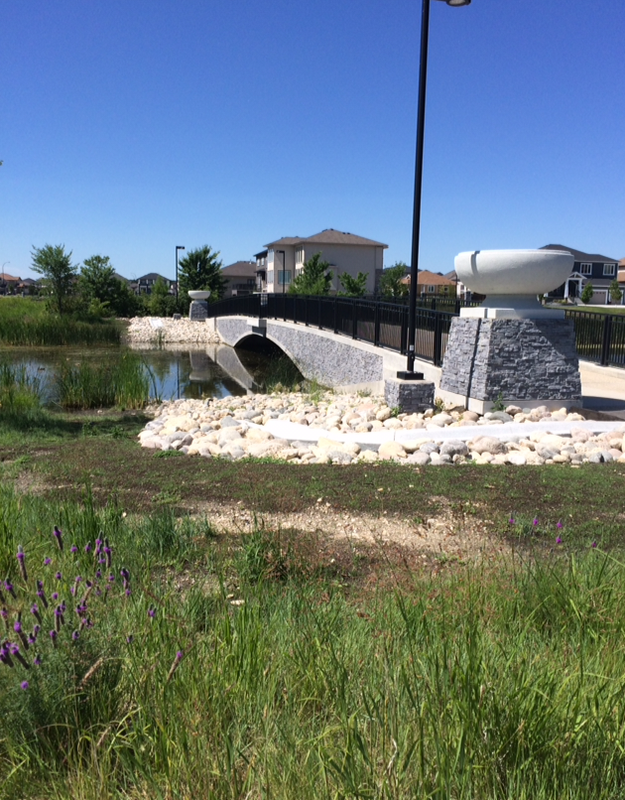 When I saw the transcona trail I was SO EXCITED. 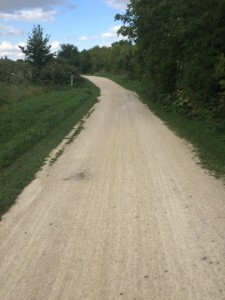 After biking on roads and sidewalks for most of my journey I was so glad to have a nice path where I knew I could relax and not worry about traffic at all. This morning I had the pleasure of joining the Prairie Pathfinders Walking Club (website: //prairiepathfinders.mb.ca/) on a 7.25 km walk through the riverview neighbourhood. We m et at 10 am at the Riverview Community Center and followed the Churchill parkway and residential streets throughout the neighbourhood. 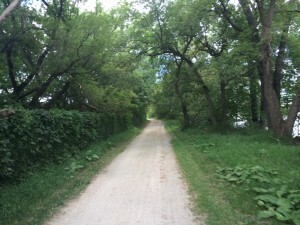 The parkway was the only marked path, the rest of the course was created by the prairie pathfinders to include some interesting features of Winnipeg. I wouldn’t say this was one of the best/exciting trails I have walked but I also think this experience is too different to compare. The walking club is great for those who struggle to get out and walk by themselves, because you have many people to talk with and share in the sweaty exercise. 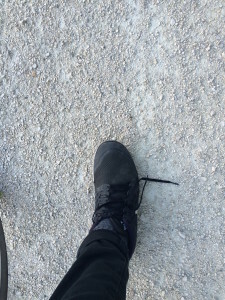 I also think joining on a walk is great to discover things you may not have learned about before. Not only does the walk have a couple interactive stops along the way but I learned a lot just from talking with the people who have been on many other adventures. I quite enjoyed myself. Make sure you are in decent enough shape because they go at a brisk walking pace and do not take many breaks. I myself was pretty tired at the end, these ladies could walk laps around me if they wanted. In fact, many decided to extend their walk once we made it back to the community center. I went home for water and food. If you want to join them on a walk visit: //www.meetup.com/Prairie-Pathfinders-Walking-Club-Meetup-Group/ and either sign up for a membership or pay $2.00 per walk. The Citi Bike program would not be as successful if it were not for the glorious infrastructure NYC has made for bikes. On all large busy streets (eg. Fifth Ave.) there was a bike lane. Many smaller adjacent streets had one too. The only streets that did not have one were small one block length and I found cars respected the cyclists. 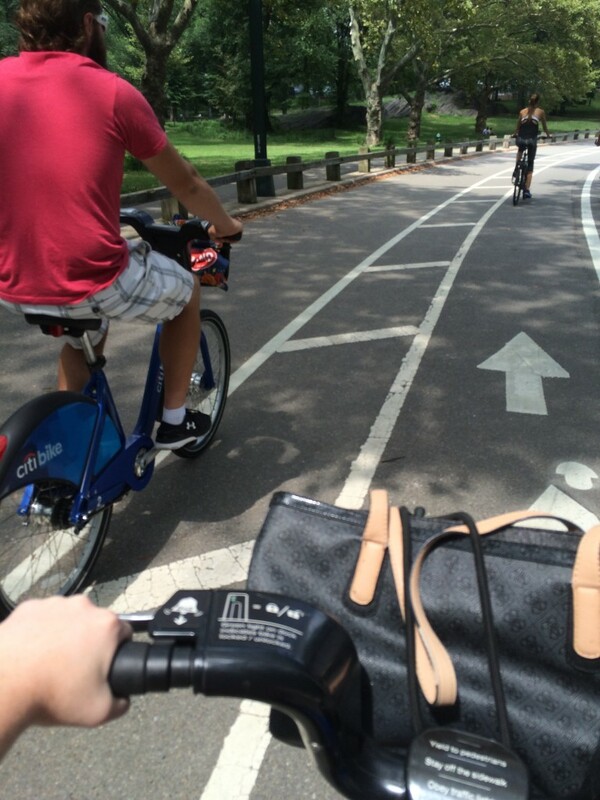 Central park had AMAZING bike traffic lanes. There were bi-directional lanes and some parts were even restricted to just bikes and horse carriages (no cars). There were so many bikes they had to put bike speed limit signs for the downhill slopes. 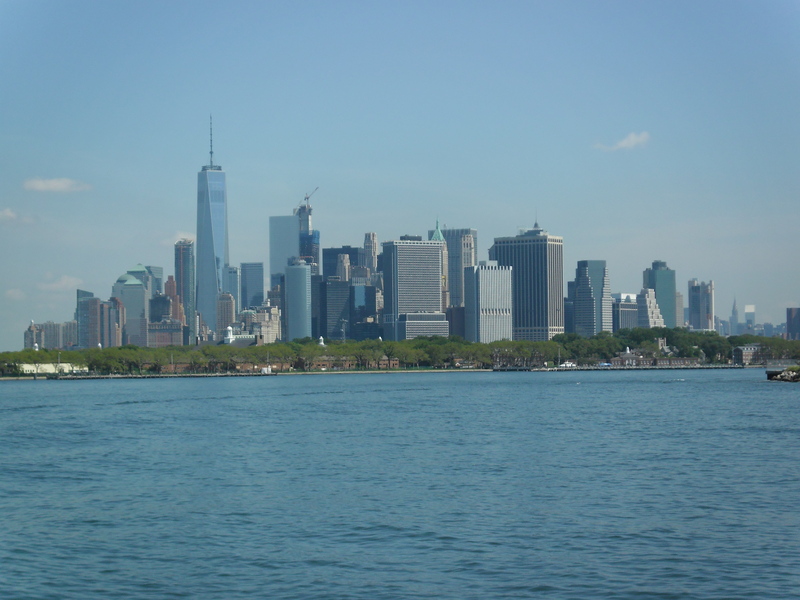 I was first nervous to bike in NYC because I do not bike much on streets. However, I was totally comfortable after half a day of riding around. The only issue I had were taxis pulling into bike lanes to let people out or pick up people and cutting me off in the process. However if the light was green and I started to go a pedestrian would respect me like I was a vehicle. I also had a bell to warn other pedestrians or people on bikes that I was a force to be reckoned with. What was also nice is if a light turned red or if an intersection was very pedestrian heavy, we could jump off (me slowly struggling off) our bikes and walk across the street as a pedestrian. This was not a problem at all. Comparing this to Winnipeg is laughable. There are very few bike lanes and they are not in the busiest areas of town. Cars do not respect bike travel and are aggressive to people on bikes. Parks usually do not have bike lanes and many paths are a free for all. Paths and trails that do have separated traffic flow are just for direction, not mode of travel. There is no bike rental service that compares to Citi Bike unless you count renting double bikes around The Forks. 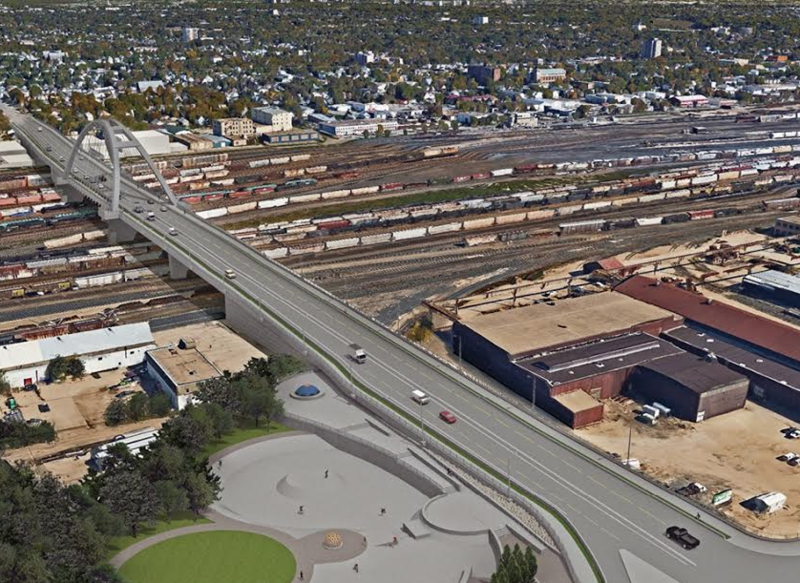 For the most part, Winnipeg is build for cars and cars only. I think if Winnipeg got a program like Citi Bike and made more connected bike lanes it would force better traffic flow and safer speeds. My fiance who is from a small town in Manitoba and loves cars said he would bike when he came to Winnipeg if there was a bike service like this. I was so surprised when he said that and I think that shows that if biking was fast, safe, and affordable people of all walks of life would use it. I for one would definitely park and bike when downtown/at university if I was not afraid for my life. Lastly, I want to talk about the stigma around biking in Winnipeg. People hate people on bikes. Only a very small percentage of people are happy to see people on bikes, most drivers loath bikes on the road. So, when riding a bike I automatically feel like a huge nuisance to everyone. In NYC I felt like a part of a cool bike club. Overall, Citi Bike 10/10 would bike again. Winnipeg, take note. 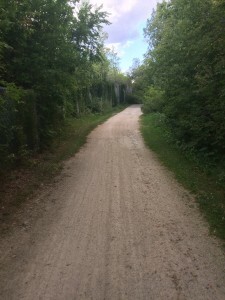 Last Sunday, Dan (my trails analyst boyfriend – who is making me do this) and I biked to the forks from my parents’ suburban home (lame, I know). Usually we go north through Saint Boniface, but for the sake of a story, he dragged me on a longer route through Osborne I was unfamiliar with. 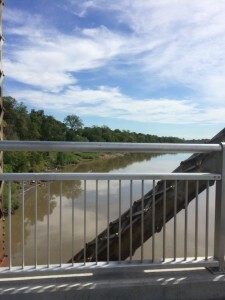 First, we rode down John Bruce Road to a pedestrian bridge to cross the Seine. This part of the bike ride was fine, as there was low traffic and we safely travelled on the street. We were able to converse and meander. After the Bridge we had to bike on St. Anne’s, which was probably the most unsafe part of the trip even though it was only 100 meters. We had to bike single file, keeping as straight and parallel as possible to the curb, while impossibly avoiding potholes and ruts which forced us off our seats to lower force of impact, all while vehicles travelling over 60 km/h whizzed by. Conversation was impossible and not enjoyable. At the approach to Bishop Grandin a right turn lane opens but we kept straight to enter the diamond lane and cross once the light turned green. Next we had to cross St. Anne’s to get on the Bishop Grandin Greenway. Many times a vehicle has come to a stop past the stopline on the southbound left turn lane to Bishop, which cuts off the crosswalk and forces crossing pedestrians and cyclists closer to Bishop’s 80km/h traffic. However, on Sunday this thankfully did not happen. One more unsafe spot is crossing the southbound right turn radius as many drivers simply just don’t stop, cannot see, or are travelling way too fast. It is also difficult for us as pedestrians to judge whether the vehicle can see and is actually going to stop. Finally we were on the Bishop Grandin Greenway, which is for the most part good, with exception being the turn lanes at Home Depot. We then turned north on Dakota, crossed St. Mary’s and continued on Dunkirk. Dunkirk bike lanes are a bit weird as the wide greenway type path turns into sidewalk at some points and back into Greenway. On the road there is a faded bike lane painted. As a cyclist am I expected to get on and off the greenway and road when the sidewalk sections come? – not sure. The Dunkirk greenway ends just after the golf course by the south Osborne Bridge; we then biked on the sidewalk. That bridge is way too scary. This area needs to be fixed. Last time we biked this I didn’t feel comfortable on the road, and rode on the sidewalk. This time Dan took us down Hay; which was better but still only okay in my opinion as I was still with cars on a roadway. At the end of Hay we went through a weird little maze of apartment walkway, back alley, dirt path through trees, parking lot and secondary roadway to reach a crushed stone path that went along the river. The very beginning of the path was a little too inclined and a little too tight of a turn radius to be comfortable to bike down. I cannot imagine this path would be accessible to a disabled person. 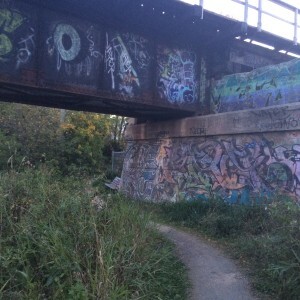 The path spit us out under the railway at Stradbrook and Main where we crossed. At the crosswalk for main we pushed the button, waited, waited, pushed the button again, waited – at this point the man across that was there earlier than us crossed when no cars came and shrugged – and we did the same. The crosswalk light still did not come on, as we continued north. At the Forks we turned right on the green bike lanes and reached our destination. The return trip was nearly identical except we turned right at main after the green Forks lanes to use the new bicycle crossing. There were pedestrians on the other side, and two cyclists on our side. The light turned green and everyone began crossing, Dan leading our side. A vehicle turning right onto Main from Assiniboine waited on the other side. Just as the pedestrians gave him enough room he began turning without looking at our direction and came very close to Dan. He apologized but ultimately should not have made the turn. After that we rode on the sidewalk until the crushed stone path leading us back down beside Osborne. We meandered through the maze somehow a different way and continued down Churchill for a change of scenery. This felt safe as almost no cars were present – the few that were passed us at safe speeds and gave us tons of room. We continued onto Jubilee, hooked a left at BDI and looped back onto Dunkirk from Kingston Row. The remainder of the bike ride went identical to the before trip just in inverse order. The safe areas felt safe, and the unsafe areas still felt unsafe. Jenny is Dan’s partner. Currently she handles frozen yogurt, but hopes to own a coffee shop / truck combo in Berlin. She lives part time in their Volkswagen Westfalia, and in her spare time bikes, hikes, cross country skis, camps and plays volleyball. Her other spare time is spent entertaining —or tiring out— her golden doodle puppy Theodore. 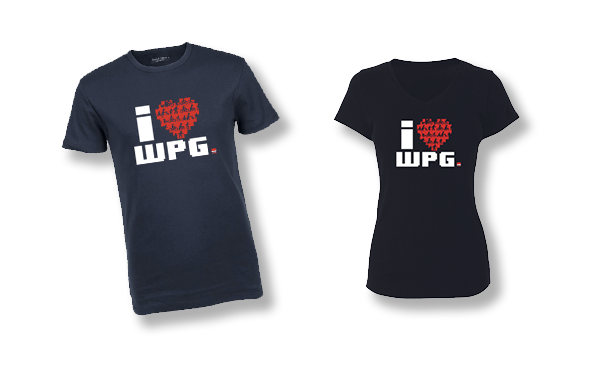 She is a devoted Winnipeg Trails app user, having won the initial ‘Gem Blast’ prize. Her username is HiddenJen. She is attending University in the fall, with an unknown as-of-yet end goal— she is open to suggestions.